Fes or Fez (Arabic: فاس‎ [Fās], French: Fès) is the third largest city in Morocco —after Casablanca and Rabat— with a population of just over one million. It is the capital of the Fès-Boulemane region. 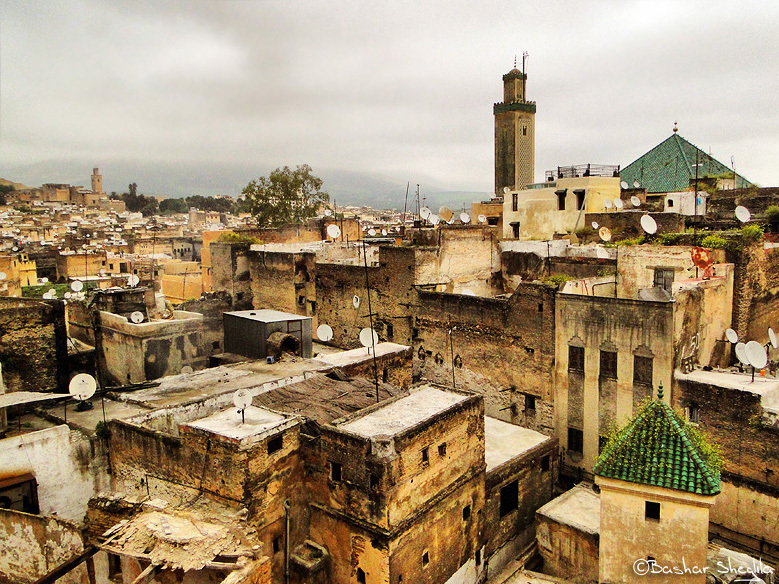 Fes, a former capital, is one of the country’s four “imperial cities,” the others being Rabat, Marrakech and Meknes. It comprises three distinct parts, Fes el Bali (the old, walled city), Fes-Jdid (new Fes, home of the Mellah) and the Ville Nouvelle (the French-created, newest section of Fes). Fes el Bali is a UNESCO World Heritage Site. Its medina, the larger of the two medinas of Fes, is believed to be the world’s largest contiguous car-free urban area. The University of Al-Karaouine, founded in AD 859, is the oldest continuously functioning university in the world.